Rarely available! The best location in "MONTAGE" quality built by Polygon. A very tranquil & private setting facing south overlooking the lovely large garden area with Metrotown in the background. You'll love the open concept gourmet kitchen w/ S/S appliances, gas range and granite countertops. 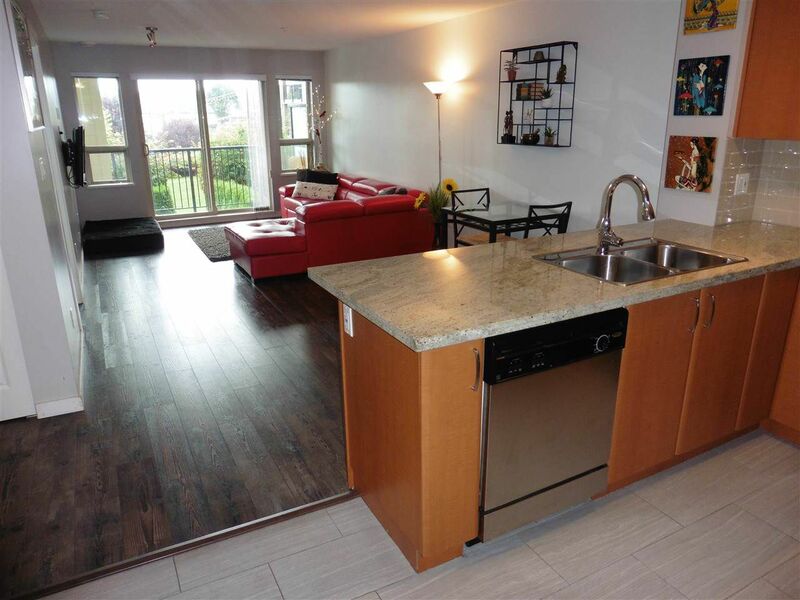 A very bright & spacious 2 bedroom, 2 bathroom suite w/ large rooms throughout. Expensive upgrades w/tile kitchen floor, high quality laminate throughout, retractable screens, light fixtures and California closets. The master bedroom has a W/I closet, an extra nook/baby space & a relaxing spa-like ensuite w/deep soaker tub. TWO PARKING SPACES & a storage locker. Unbelievably quiet living only a short walk to Brentwood Mall, Save-On Foods, skytrain, 2 daycares & Central Valley Greenway. This is the one!